The Background: The mysterious Walker (Lee Marvin) is double crossed and left for dead by his partner, Mal Reese (John Vernon – famously the Dean in Animal House), during a courier robbery on Alcatraz. Some while later a fully recovered Walker sets about exacting revenge on Reese as well as reclaiming his missing $93,000..
What’s immediately noticeable about the sequence is the striking use of sound. Walker, quite literally living up to his title, begins the scene by marching purposefully and briskly down a corridor, his footsteps echoing rhythmically. Rather than the sound ending with a change of scene, these hypnotic footsteps trample right through the entire subsequent montage. As well as simply being a device for building suspense, the footsteps seem to take on a much more profound purpose in the context of Walker’s mission. 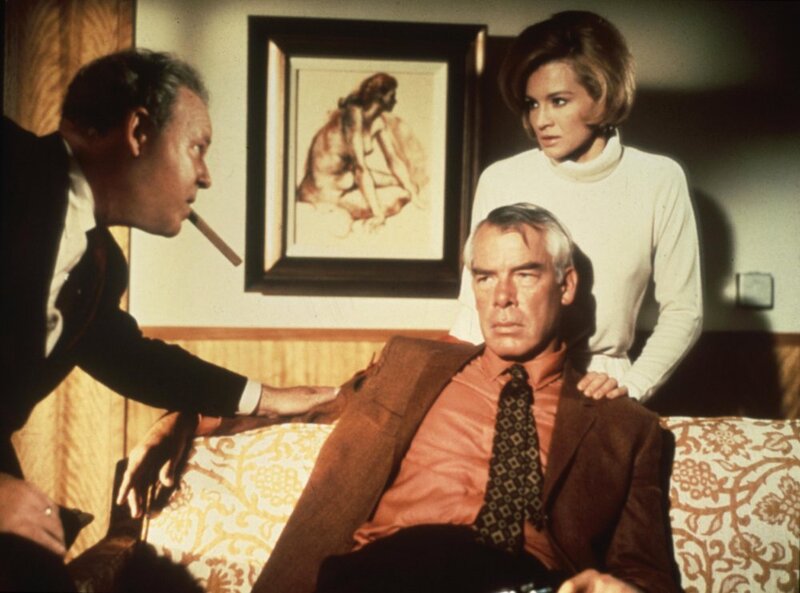 Superficially Point Blank is a pulp revenge thriller, but the way the story unravels in a hazy mix of surreal imagery, disjointed edits and human detachment points towards a greater exploration of existentialism. Quite whether Walker is alive, dreaming or dead is never truly clear. The notion that Walker is merely the ghost of revenge echoes in the way his footsteps are mechanical, perfectly timed, as if counted out robotically rather than by any man. Furthermore, their metronomic beat resembles the ticking of a clock, the infinite loop of time, unstoppable in its determination to move forward like Walker. At the same time, the endless notion of time points to an ever moving end point for Walker and therefore an inability to ever actually exact revenge, Walker’s sole purpose for existence. The montage that accompanies the footsteps features Lynne beautifying and pampering in an almost catatonic state. Her fractured state of mind seems to stem from the guilt of betraying Walker. In light of these images, the incessant footsteps become a deafening reminder of her betrayal, as well as a countdown to the arrival of her vengeful former lover. Though the footsteps continue at a steady, methodical pace, Johnny Mandel’s unobtrusive, non-diegetic, music subtly convinces us that the pace is quickening in order to build a crescendo around Walker’s physical journey to his obsessive goal. Beyond the sound, the sequence is matched by equally intriguing imagery. Point Blank is an especially cold and detached film, from the architecture to the characters, which can be gauged in this sequence. The corridor Walker stalks is stark and generic, doused in a bleak pallet of greys and lit with harsh ceiling lights devoid of any warmth. Essentially it’s a reflection of Walker’s ghostly, inhuman, presence as well as the lifeless world around him. The fact he’s the sole figure walking against the tide of passers-by further emphasises his detachment from everyone else. The seemingly endless nature of the corridor comes to trap Walker in his own personal limbo with nothing for company but his own footsteps. When Walker does finally reach the house he bursts into the bedroom and fires off his entire round into an empty bed. While Walker has quite literally jumped the gun through his single mindedness, there’s more to this climax than a missed opportunity. The fact he unloads his weapon into the bed resembles a sexual release of frustration, as if he needed to discharge his gun symbolically rather than rationally. The whole scene builds to a climactic frenzy that seizes Walker and leaves him like The Terminator unable to divert from his mission. The shock on his face once he realises no one is in the bed feels like a return to consciousness from a trance. Additionally, the way he baulks at his own reflection only heightens the sense that this is a man confused as to what exactly he has become or even is. 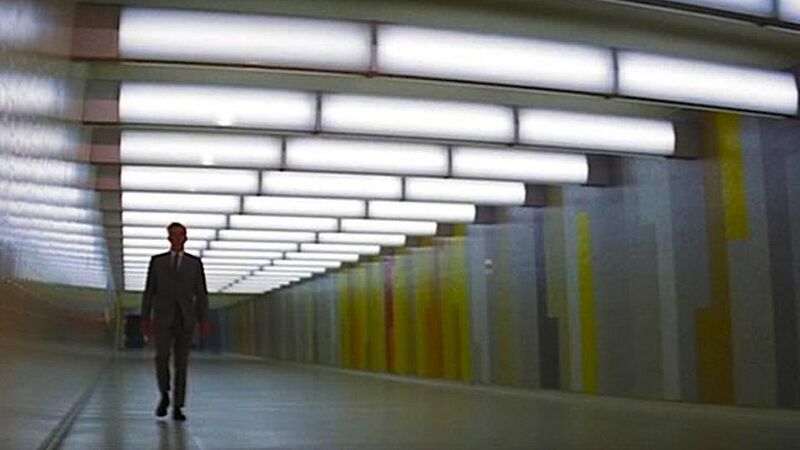 There’s so much to unpack and unravel with Point Blank that to focus on one scene seems reductive and insubstantial, but if you have to start somewhere the famed ‘corridor scene’ is a terrific example of the film’s depth and style. It’s also a masterclass in the powers of editing and post-production, as well as a fine example of how the European New Wave influenced American film making in the late 1960s. Researching this piece I stumbled across a great anecdote about Point Blank, courtesy of Cinetropolis. 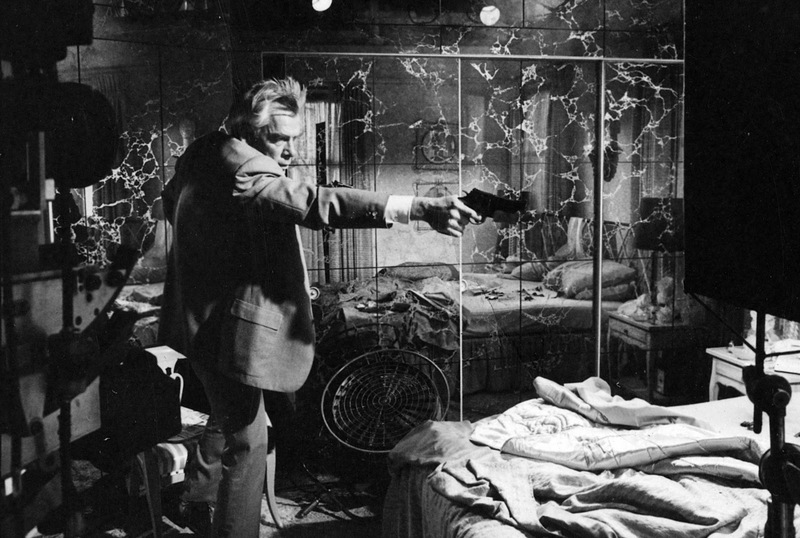 Apparently when Lee Marvin died his wife Pamela offered one of her husband’s possessions to Point Blank director John Boorman as a memento. Boorman chose the pair of shoes that Marvin used for the film. It seems even as the director, Boorman couldn’t forget those perfect, unrelenting steps of Walker.